KATHMANDU, July 30 – Following weeks of deliberations, the Unified CPN (Maoist) Central Committee (CC) Thursday endorsed the political document tabled by Chairman Pushpa Kamal Dahal some two weeks ago. The CC meeting held at the party headquarters in the capital endorsed the document today. Chairman Dahal had furnished answers to the queries raised by the CC members a couple of days ago at the CC meeting. 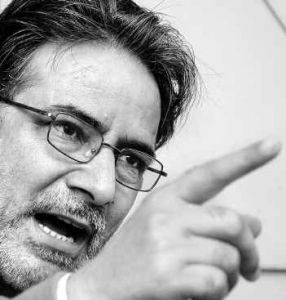 According to Maoist CC member Devendra Poudel, the meeting also endorsed the statute amendment proposal. With today’s endorsement, formation of national consensus government for constitution drafting and the conclusion of peace process as mentioned by Dahal in his document have been adopted by the Maoists as their immediate strategy. After the 2008 constituent assembly elections the United Communist Party of Nepal (formerly the Communist Party of Nepal – Maoist) became the largest elected body in Nepal’s transitional government. In May of 2009, the UCPN decided to sack the Chief of Army Staff General Katawal due to his refusal to follow orders on multiple occasions. Hours after the decision he was reinstated by the ceremonial President, causing the UCPN to withdraw completely from the government. Over the past two months the UCPN has been engaged in intense debate over what their next steps are to be, and whether to include a “people’s revolt” in those next steps. This appears to be the first time Pushpa Dahal (Prachanda), the party chairman, has stepped out publicly in favor of this option (assuming this report has fairly characterized his position). This article was published on Telegraph Nepal. Thanks to Ka Frank for pointing it out. 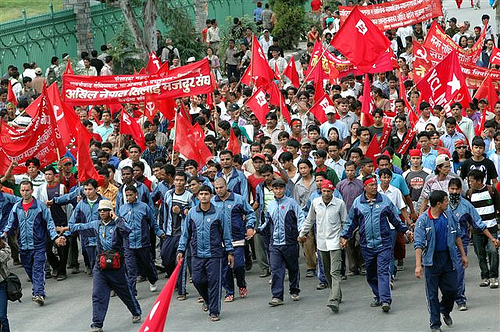 The Unified Nepal Communist Party-Maoist is preparing to lead a new peoples’ revolt. The Maoists party has also decided to warm up the Streets and the Constituent Assembly body together in order to guarantee Peoples’ Supremacy and forcing the President to retract from his unconstitutional move that he took on May 3, 2009. The Maoists party has also concluded that to achieve the set objectives, unity among the Nationalists, Republicans, Forward-looking and Communists was urgent and significant. This article was posted on eKantipur.com. KATHMANDU, July 28 – Unified CPN (Maoist) affiliated Young Communist League (YCL) called a nationwide transport strike on Tuesday against the killing of its cadre. They called an hour-long strike from 10 am protesting against the killing of central member Laxman Yadav. Although traffic movement has resumed nationwide, vehicles have not plied the roads in Lalitpur due to the obstruction by the YCL at Kupondole, the traffic police said. 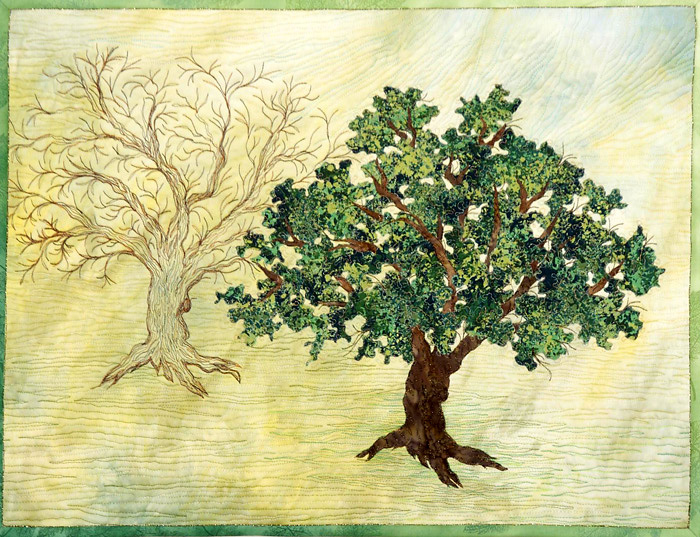 “The concept of caste has existed in South Asia for millennia. Though this socio-religious hierarchy had originated as a method of “division of labor”, it has, in the modern age, served as a means of subjugation and disempowerment — especially for the lowest strata in the caste system, the Dalit. This article was published in The Statesman. This article was published on The Hindu. 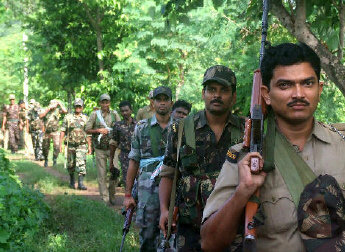 Security personnel getting ready for a joint operation against Maoists in Purulia, West Bengal, on Saturday. Kolkata: Belying fears, Maoists on Saturday released the policeman they abducted on Friday evening at Pirrakhuli, 14 km from Lalgarh in West Bengal’s Paschim Medinipur district. . This article was published on Web India. 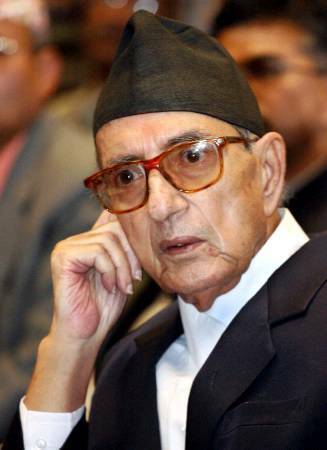 Nepali Congress President Girija Prasad Koirala has said the ex-combatants of the Maoist People’s Liberation Army will not be integrated into the Nepal Army but they should all be rehabilitated into the society. This article was published in People’s Truth bulletin #6. As the third phase of polling gets over the main news is the lack of interest in voting and the disgust displayed by the masses for the political system. In Mumbai as much as 59% stayed away from voting. In UP barely 45% voted. In Kashmir the voter turnout was a mere 20%. In the earlier phases the voter turnout was not much different. In the first phase which was held in most of the naxalite areas the boycott of the elections by the Maoists made major news and was even more widely covered than the elections itself. Not only the people in the Maoist area but reports came in from almost all corners of the country of people of whole areas boycotting the polls over their local demands or going to the booth and registering their non-voting. Not even all the lure of money, muscle power, caste and religious equations could get people to the ballot box. 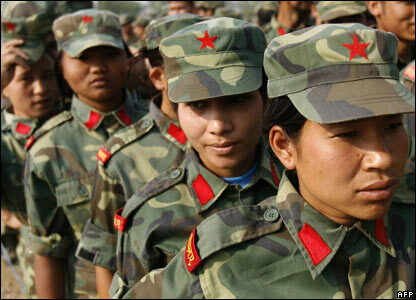 The high percentages polling shown to have taken place in some Maoist areas were due to pre-planned rigging. In Mumbai, slum-dwellers reported that the one month before the elections was a boon for them – Rs.100 to attend a political rally, Rs.100 a day to sit at a pandal, Rs.500 to oversee an election booth, etc. Never can ordinary slum-dweller earn so much, yet Dharavi (reportedly the biggest slum in Asia) recorded barely 38% voting. This site has closely covered the different views and debates within the ranks of the Unified Communist Party of Nepal (Maoist). Hisila gave this interview to journalist AMRITA NANDY-JOSHI. The piece was posted on Democracy and Class Struggle, and first appeared in India’s Tehelka Magazine. 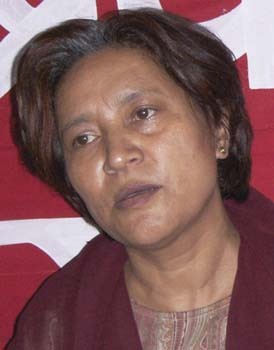 50-year-old Hisila Yami alias Comrade Parvati, Nepal’s most powerful woman Maoist leader, dispells the myth that Maoist guerillas are bellicose and unkempt. She is suave, soft-spoken and smiles often. Educated in India and England, this architect taught in a college for 13 years before going underground during the Maoists’ 11-year-long armed struggle. From guerilla camps to becoming Minister for Tourism to being elected to Nepal’s Constituent Assembly, Hisila has had a long and eventful journey. Despite years of a violent war, what brought the Maoists victory in Nepal’s Constituent Assembly elections? 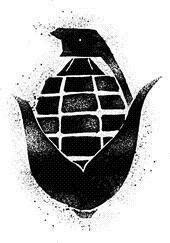 Our armed struggle was a people’s war. The people of Nepal had grown intolerant of a corrupt and inefficient government. The monarch and other non-left parties have promoted and taken advantage of the dominant Hindu belief systems. With the Army supporting and protecting monarchy and imperialism, people eventually saw who stood for what. 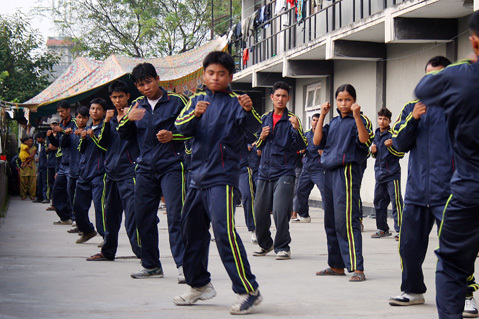 The CPN-M declared total war against these forces. We had even thought of taking over Kathmandu but we realized that this would not be appropriate. Besides, we knew how India and China would have responded. Respectful Homage to Veteran Maoist Comrade Niranjan Bose! Comrade Niranjan Bose, the oldest in the Maoist ranks in West Bengal, died at the age of 92 years on 26th April ’09 in Kolkata. Till his last breath he held high the banner of revolutionary Marxism and had consistently engaged himself in a significant way to further the cause of Indian revolution. This nonagenarian revolutionary started his political career in the early 1940s, at first as a Congress activist and then courted Marxism and became a member of the United CPI of the then undivided Bengal. Comrade Bose played a significant role in bringing out the CPI’s Bengali daily Swadhinata in the 50s. He was sent to prison on several occasions. When the CPI split in 1963 he sided with the left leaning comrades and joined the CPI (M). In the West Bengal unit of the CPI (M) comrades Niranjan Bose, Saroj Dutta, Shusital Roychowdhry et al had a pioneering role in bringing out the Bengali weekly named Deshhitaisee. All of them, the followers of Maoist leadership against Khruscevite revisionism, revolted against the CPI (M)’s neo-revisionist leadership. 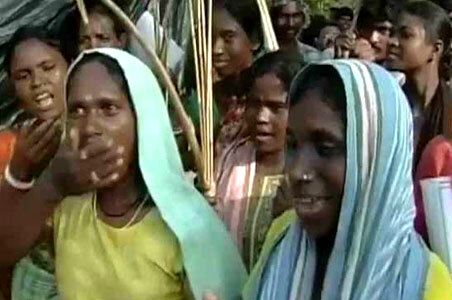 Indian history is now a witness to a heroic mass upsurge that has been going on as a basically adivasi mass uprising in the Lalgarh area in West Midnapur district of West Bengal. Ever since the landmine explosion conducted on November 2 reportedly as a protest against the SEZ bid of West Bengal’s ruling party, on the entourage of Bengal’s Chief Minister Buddhadeb Bhattacharya and the Union Minister steel, chemical & fertilizer Mr. Ramvilas Paswan while returning from the highly state publicized inauguration ceremony of the Jindal Steel Works (A Special Economic Zone) at Salboni in West Midnapore.Police went on rampaging the tribal villages, torturing the tribals and other exploited in the dead of nights in the name of search for Maoists. India, Don’t Supply Weapons to the Nepal’s Government Army! Unified CPN (Maoist) Chairman Pushpa Kamal Dahal has reportedly warned Prime Minister Madhav Kumar Nepal that the government’s plan to import weapons from India will derail the fragile peace process. According to reports, the Maoist Chairman called PM Nepal Wednesday morning and expressed serious objection of his party to Defense Minister Bidhya Bhandari’s request to India to resume weapons supply to Nepal. Dahal also said that import of any weapons while the peace process is still on is against the Comprehensive Peace Accord (CPA) and will completely jeopardize the peace process, leading to resumption of violence and more bloodshed in the country. India stopped supplying lethal weapons to Nepal following the royal takeover in February 2005, but continued to provide non-lethal military hardware. U.S. Involvement in Army Integration? This article was published on eKantipur. Thanks to Ka frank for pointing it out. KATHMANDU, July 21 – The US Congress has imposed conditions on the military assistance it provides to Nepal. These conditions, made in the S.1434 bill, approved by the US Senate Committee on Appropriations on July 9, states that American military aid to Nepal will be contingent on Nepal Army’s (NA’s) cooperation with civilian judicial authorities into investigations of human rights violations, the progress made by the NA in redefining its mission, undergoing reform to strengthen civilian control and facilitation of the integration of Maoist combatants into the NA. 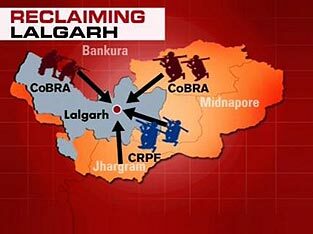 July 20: Lalgarh and the adjoining tribal belt in West Midnapore are once again on the boil. Over a month after the drive launched by the West Bengal government to drive the Maoists out, and contrary to chief minister Buddhadeb Bhattacharjee’s claims, the rebels have begun to “resurface”.